Intended for horticultural professionals and avid gardeners, the Undergraduate Certificate in General Horticulture offered by the Department of Horticultural Science is designed to meet both the foundational and specialized educational needs of these non-traditional students at the undergraduate level. 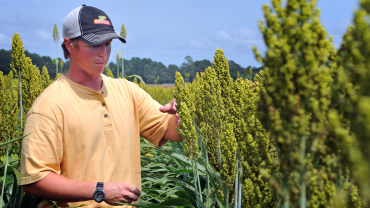 Students completing the 15 credit hours of coursework will have a strong background in horticultural science and techniques and specialization in elective areas of the student's choosing. Open to NDS (Non-Degree Studies) students and NC State undergraduates. 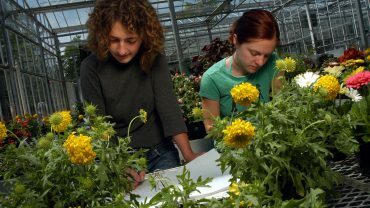 Student seeking the Undergraduate Certificate in General Horticulture must have completed high school with a GPA of at least 3.0 on a 4-point scale and provide a transcript or copy of other such documentation indicating high school completion and grade point average. The Undergraduate Certificate in General Horticulture requires 15 credit hours. Students pursuing university certificate programs are considered non-degree studies (NDS) students for the purpose of university registration; NDS students may register for a maximum of 6 credit hours per semester. Thus, the Undergraduate Certificate in General Horticulture may be completed in as little as three academic terms. Students must complete the 15 hours of coursework required plus any course prerequisites within 4 calendar years, beginning with the initial course enrollment date. Can’t attend classes at NC State University? Join horticulture professionals and avid gardners who are earning an undergraduate Undergraduate Certificate in General Horticulture through Online and Distance Education at NC State. This certificate program is designed to enhance your horticulture background. Open to NDS (Non-Degree Studies) students and NC State undergraduates. The University Certificate in General Horticulture is offered to anyone who desires a strong foundation in the principles of horticultural science with an emphasis on current technologies and environmentally responsible practices. Students will be required to complete six hours (two courses) of foundational horticultural coursework and select nine hours (three to four courses) from a list of electives where the student may choose to specialize in a certain area of horticulture or maintain a broad, general focus. All the coursework will be available as distance education courses. With completion of 15 credit hours and a grade of C (2.0) or better in each course, the student will be awarded a certificate acknowledging their accomplishments. Principles of plant growth and development relating to production and utilization of fruit, vegetable, floricultural, and ornamental crops. Historical, economic, and global importance of horticultural crops and services. Not for Horticultural Science Majors [SH, THG, THL]. Substitution of HS 203 for HS 301 are not allowed. An introduction to the basic principles of sexual and asexual plant propagation, including seeds, cuttings, layering, Grafting, and Division. Introduction and review of home horticulture as it relates to the horticultural enthusiast. A general understanding of plant growth, structure, and development; house plant selection and care, selecting trees, shrubs, and flowers for the home landscape, and other related topics. Note: this course was previously offered as HS 100. Power of Plants will focus on how plants are names and can be used in different horticultural situations and growing environments. Uniqueness, use, and plant descriptions of a wide range of horticultural plants will be considered including bonsai, topiary, espalier, and rain gardens. Not for horticultural science majors [SH, THG, THL]. An understanding of the basic principles of landscape maintenance including, but not limited to, soil fertility and management, tree biology, pruning, turfgrass maintenance, plant selection, irrigation management and waterwise gardening, integrated pest management, and hardscape construction. Not for Horticultural Science majors [SH, THG, THL]. Home landscape design is a 3-credit hour course for non-landscape design majors. Students will be introduced to the various issues associated with landscape design at the residential level. Through a series of Power Point lectures, on-line discussions, and small projects/exercises, students will gain an understanding of landscape graphics. Skills in design, and develop landscape plans and other forms of landscape graphics. Students will use all of their learned skills to develop a design for a given site using provided design software. Principles and practices of production and marketing of seventeen vegetable crops grown in the U.S. Additional topics include pest management, seed technology, food safety, sustainable agriculture, use of genetically engineered crops, and consumer issues. An understanding of the basic mineral nutrient requirements, nutritional monitoring procedures, and fertilizer application methods in horticultural production systems including those for fruits, field vegetables, fruits and vegetables under plasticulture, nursery crops, landscapes, greenhouse flowers and vegetables, interior plantscapes, hydroponics, and organic farming. Fundamentals of soils including origin, composition and classification; their physical, chemical, and biological properties; significance of these properties to soil-plant relationships and soil management. The course provides detailed information on plant nutrition, soil fertility, and management of essential plant nutrients and other amendments affecting plant growth and nutrition. The influence of numerous biological, physical, and chemical soil properties on plant nutrient availability will be emphasized. 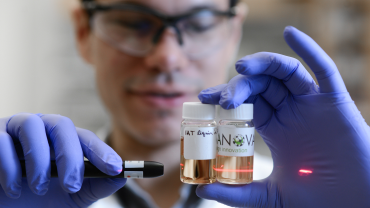 Students will be familiar with contemporary diagnostic tools to assess nutrient availability, and the soil and nutrient management technologies essential for enhancing soil and plant productivity while minimizing the impact of nutrient use on the environment.